​Unity Village Chapel is located on grounds at Unity Village at 1901 NW Blue Parkway, Unity Village, MO, 64065, 15 miles southeast of downtown Kansas City, MO. ​The Kansas City International Airport (MCI), also known as KCI, in Kansas City, Missouri, is the nearest airport to Unity Village. 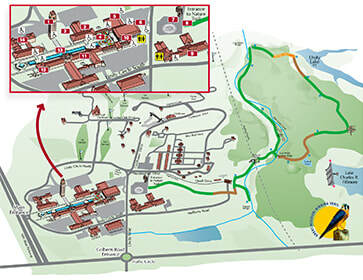 ​To find driving directions to Unity Village, please open Google Maps below.